2013 has still only just started, meaning there’s still not a whole lot going on when it comes to news. 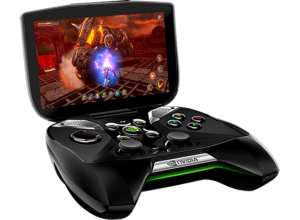 Still, some of what’s going on is pretty cool, like Nvidia announced their very own gaming handheld. And it uses Nvidia Tegra technology! Meaning that Bartman3010 should be writing this Monday Links because praising Nvidia Tegra is his thing, but he’s busy so I’ll do it for him: Nvidia Tegra is amazing and cool and probably cooler than you are and can run Sonic 4 Episode 2. And that’s what Bartman3010 maybe would have written for today’s Monday Links.